LCS Landscapes & Grounds provides a wide variety of sports turf maintenance services. 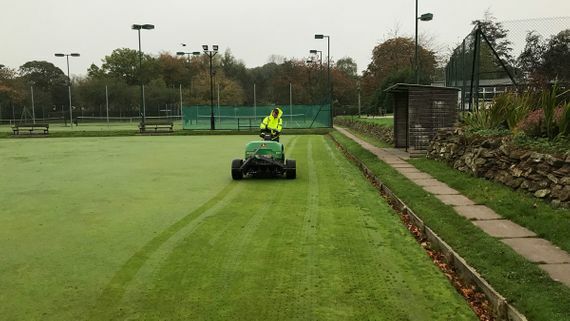 We cover the full range of natural turf sports surfaces, including tennis courts, golf areas, cricket pitches, and bowling greens. As sports turf specialists, we’re able to help with everything from initial design ideas through to regular contract maintenance visits. 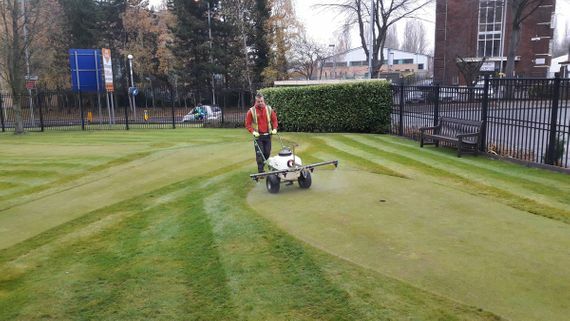 Our team have extensive experience in the field, plus all the skills needed to help you both create high quality playing surfaces and keep them looking immaculate. Call us, in Macclesfield, Cheshire, to discover more about our maintenance and sports turf drainage work. Call us, in Macclesfield, Cheshire, to enquire further about our sports turf maintenance and drainage solutions.